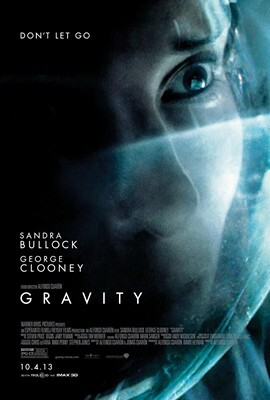 Gravity – “A medical engineer and an astronaut work together to survive after an accident leaves them adrift in space.” With the buzz that is surrounding its debut at the Venice Film Festival, my expectations have definitely been raised. Director Alfonso Cuarón completely floored me with his previous film Children of Men and I’ve been looking forward to this ever since it was announced. I know I’ll be seeing it in IMAX 3D, considering the time spent to format it in 3D. 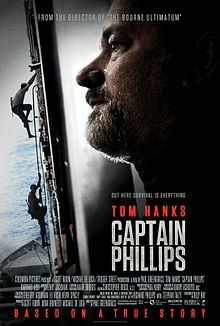 Captain Phillips – “The true story of Captain Richard Phillips and the 2009 hijacking by Somali pirates of the US-flagged MV Maersk Alabama, the first American cargo ship to be hijacked in two hundred years.” After The Bourne Supremacy, I’ll see anything director Paul Greengrass makes because he’s very talented and each of his films oozes class and high-quality. There are not many directors that are as masterful as him when it comes to suspense. Lastly, Tom Hanks plays a very different role compared to what he’s done before, which makes this movie that much more enticing to me. 12 Years a Slave – “In the antebellum United States, Solomon Northup, a free black man from upstate New York, is abducted and sold into slavery.” Director Steve McQueen only has three full-length films to his name and each one is a challenging, engrossing, and truly captivating story. All three have Michael Fassbender, and he gives nothing but inspiring performances. When it debuted at the Toronto International Film Festival, it garnered unanimous praise and with the incredible ensemble of big name actors and actresses, it may the Oscar contender to beat. 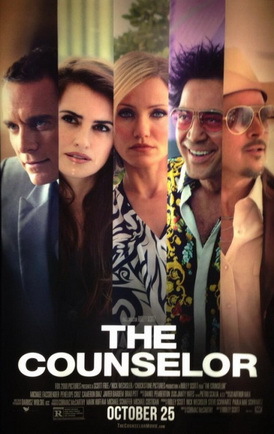 The Counselor – “A lawyer finds himself in over his head when he gets involved in drug trafficking.” Directed by Ridley Scott+original screenplay written by Cormac McCarthy+the cast=SOLD. 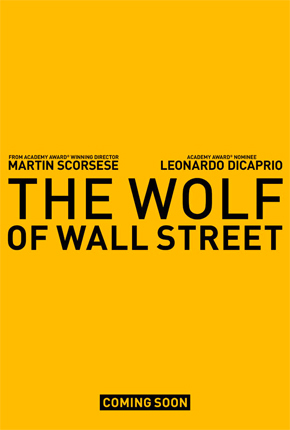 The Wolf of Wall Street – “Based on the true story of Jordan Belfort, from his rise to a wealthy stockbroker living the high life to his fall involving crime, corruption and the federal government.” Martin Scorsese with his muse Leonardo DiCaprio is always a winning combination in terms of style and performance. The trailer was well-done and makes the film look odd, hilarious, gripping, and Scorsese-ian. 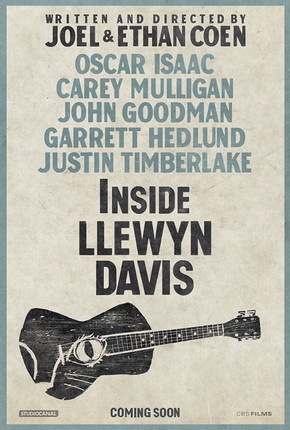 Inside Llewyn Davis – “A week in the life of a young singer as he navigates the Greenwich Village folk scene of 1961.” This Coen Bros movie has been on my radar since 2013 began. The concept interested me, but it wasn’t until I watched the trailer with music from the movie that I became completely enthralled. The fact that Marcus Mumford (the lead singer of Mumford & Sons) sings two songs from the accompanying Inside Llewyn Davis soundtrack makes both the movie and the soundtrack high on my anticipated list, something that hasn’t happened to me before. One side note, the last time the Coen Bros made a movie with original music in it, (which was produced with legendary T Bone Burnett) was O Brother, Where Art Thou? which won 3 Grammy’s, including Album of the Year, and sold over 7 million copies. I SERIOUSLY cannot wait for Inside Llyewn Davis. 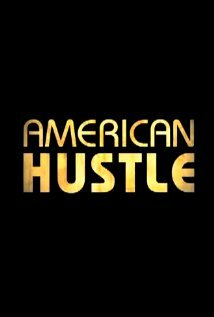 American Hustle – “The story of a con artist and his partner in crime, who were forced to work with a federal agent to turn the tables on other cons, mobsters, and politicians – namely, the volatile mayor of impoverished Camden, New Jersey.” Director David O. Russell has been on a roll with each movie he’s made in the last 3 years. Both The Fighter and Silver Linings Playbook have fantastic ensembles, won multiple awards, including a couple Oscars, and been box office winners and his newest film looks to be no different. This next story seems right up his alley and looks, in one word, groovy. Count me in. 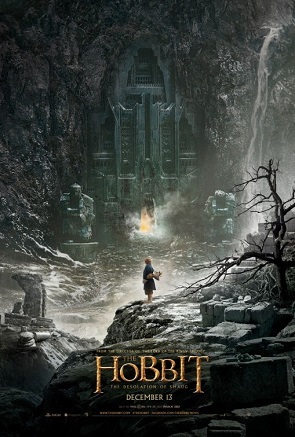 The Hobbit: The Desolation of Smaug – “The Dwarves, Bilbo and Gandalf have successfully escaped the Misty Mountains, and Bilbo has gained the One Ring. They all continue their journey to get their gold back from the Dragon, Smaug.” After the first chapter in this Hobbit trilogy, the following entry has a lot to live up to, especially with the introduction to the great red Dragon Smaug. Many people have expressed their major displeasure with the Hobbit being split into three movies, but I think one fact that many people are missing is this: one new Lord of the Rings movie each year. How could anyone be that upset when we look at the Hobbit trilogy this way?? After being pleased with the High-Frame Rate IMAX 3D presentation of the first one, I look forward to seeing the new one in the same manor. Saving Mr. Banks – “Author P. L. Travers reflects on her difficult childhood while meeting with filmmaker Walt Disney during production for the adaptation of her eponymous novel.” Tom Hanks is possibly battling himself for an oscar nomination and/or win this year and to be honest, I was unsure of his casting choice to play the one and only Walt Disney. But after seeing the production photos and now the trailer as well, there’s hope that people won’t be distracted by Hanks’ appearance as he gets lost into the role. The cast looks promising and I’m looking forward to some beautiful/romantic views of Disneyland. 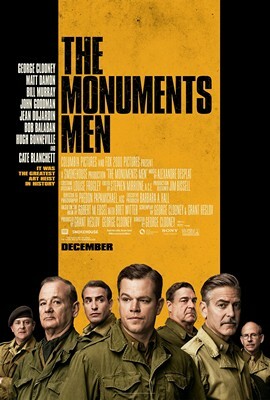 The Monuments Men – “In a race against time, a crew of art historians and museum curators unite to recover renowned works of art stolen by Nazis before Hitler destroys them.” Based on a true story, this movie looks like an educational version of Ocean’s 11 set in World War II Europe. George Clooney’s directorial career, although producing mixed results, has made some very strong dramas and his latest feature looks to continue in that same vein as well. With an outstanding cast, including Matt Damon, Bill Murray, John Goodman, and Jean Dujardin (who’s also appearing in The Wolf of Wall Street and hasn’t been seen since his Oscar winning performance from The Artist), I am eagerly anticipating this film. 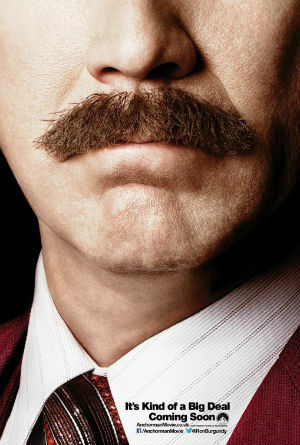 Anchorman 2: The Legend Continues – “With the 70s behind him, San Diego’s top rated newsman, Ron Burgundy, returns to take New York’s first 24-hour news channel by storm.” This movie was accidentally spoiled for me, so I’ll keep my thoughts to a minimum here. I am a big fan of the first and definitely look forward to the next chapter in the story of Ron Burgundy, Veronica Corningstone, Champ Kind, Brian Fantana, and Brick Tamland. Be warned: stay away from imdb.com and wikipedia because they spoil what may be the biggest star-studded feature of the year, if not the decade. 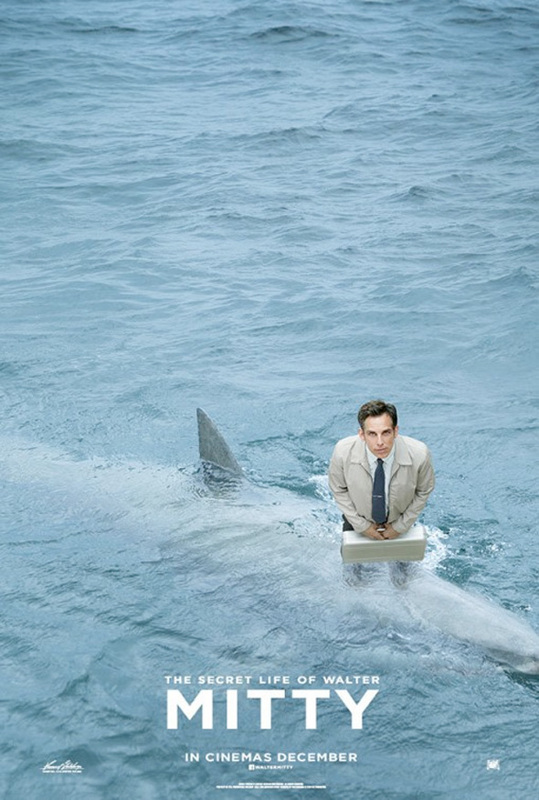 The Secret Life of Walter Mitty – “An office worker who lives inside fantasy worlds where he gets to live an adventurous life while romancing his co-worker sets off a global journey to fix things when both of their jobs are threatened.” This movie trailer, much like Inside Llyewn Davis, really moved me with an excellent song (“Dirty Paws” by Of Monsters and Men) and some stunning imagery. The trailer barely had 5 lines of actual dialogue but it sure looks captivating and I’m thrilled to see a story that takes us places that may or may not be real. Sign me up for this journey. We kick off our month of Oscar coverage by talking about Leo’s Losing Streak, while also addressing plenty of other Academy misses. 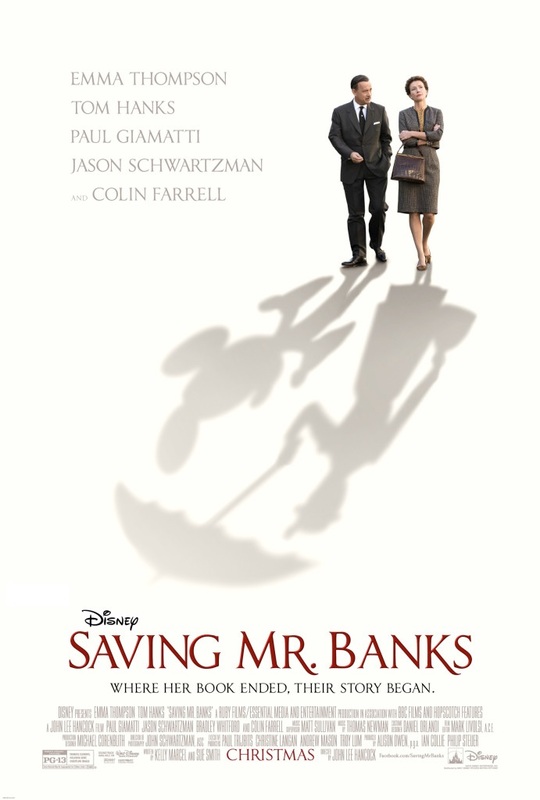 Released this past Christmas, Saving Mr. Banks has already established itself as another Disney triumph, earning an Oscar nomination, a Golden Globe and SAG nomination for Emma Thompson, and over $77 million in the box office (so far). You’ll get no argument from me on the quality of this film: the cast was impeccable, the score was lovely, and the dripping sentiment for Disney’s Mary Poppins rings true for those of us that grew up with Disney as being the most culturally significant production company of our formative years. The Nerds welcome Oscar Challenge Winner Richard New to talk about his Oscar picks, then everyone joins in a series of interconnected and irreverent tangents.